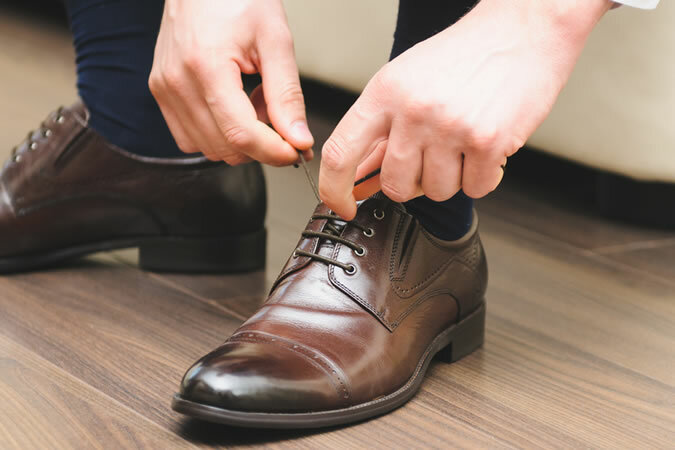 “You should invest heavily in your bed and your shoes, because if you’re not in one then you’re in the other.” That’s the sound advice of George Glasgow Jr, boss of top men’s footwear business GJ Cleverley. The British firm, which has laced up Messrs Beckham, Stallone, Statham and Day-Lewis to name a few, knows better than most that a quality pair of shoes will always cost a pretty penny. However, there’s also an investment of effort involved in breaking in and caring for fine footwear (breaking in a bed is something entirely different). Nonetheless it’s an outlay that pays dividends in the long term, as a good pair of shoes, properly maintained, can last a lifetime. To ensure maximum return-on-investment on the next addition to your portfolio, here are the steps to getting started. It’s a case of patience to begin with. As Glasgow points out, English shoes in particular are generally stiffer to begin with and require breaking in. “Gradually wearing them over a few weeks will allow them to slowly mould to your feet,” he says. 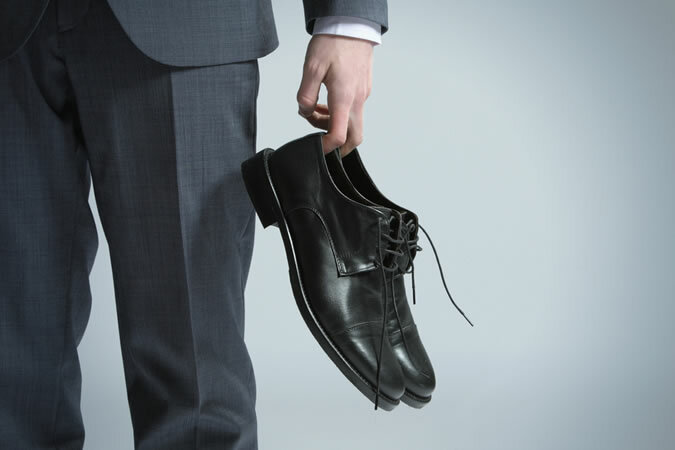 The temptation to wear your brand new shoes constantly will be there, but this should be avoided at first. It’s advised that the shoes are allowed to rest between each wear. You do own a set of good wooden shoetrees, don’t you? If not, pick some up, pronto. 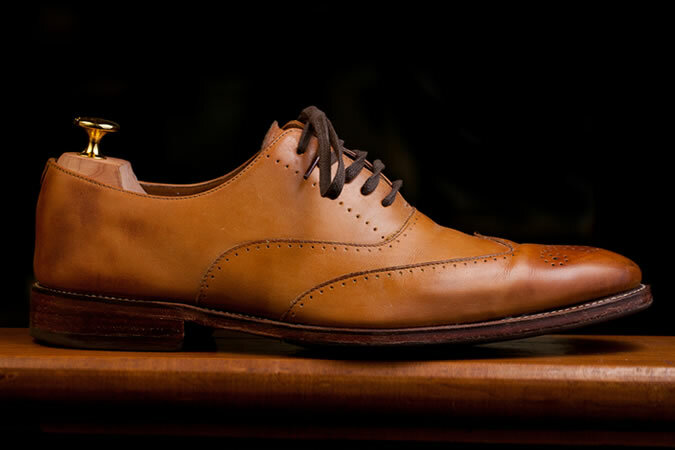 The wood (preferably cedar) absorbs sweat and other moisture (keeping odour to a minimum), helps preserve the leather and maintains the shoe’s shape. Religiously inserting shoetrees after each wear, Glasgow says, “will extend the life of your shoes by many, many years”. “Always store your shoes on shoetrees, in a dry location away from light, preferably in cloth shoe bags to avoid dust,” Glasgow advises. 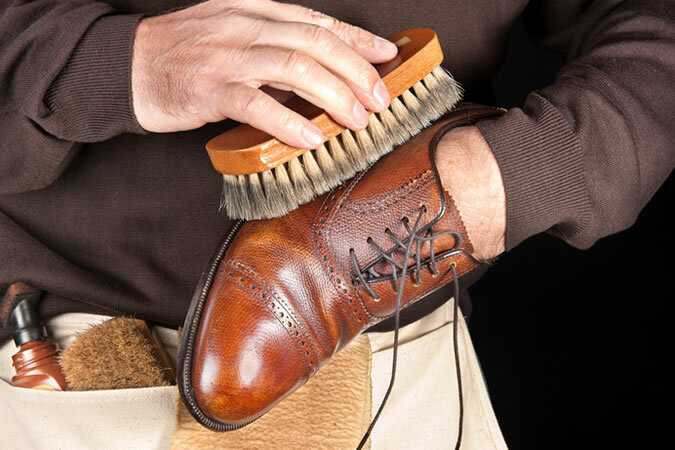 If all that sounds a bit fussy, at the very least avoid storing leather shoes in plastic bags, which can lead to mould. If looking for a cheap DIY alternative to shoetrees, stuff them with acid-free tissue paper – never newspaper. Keeping shoes in their box as opposed to strewn about the house is always a savvy move, too. It’s not just the skin on your face that craves moisture after a long day. 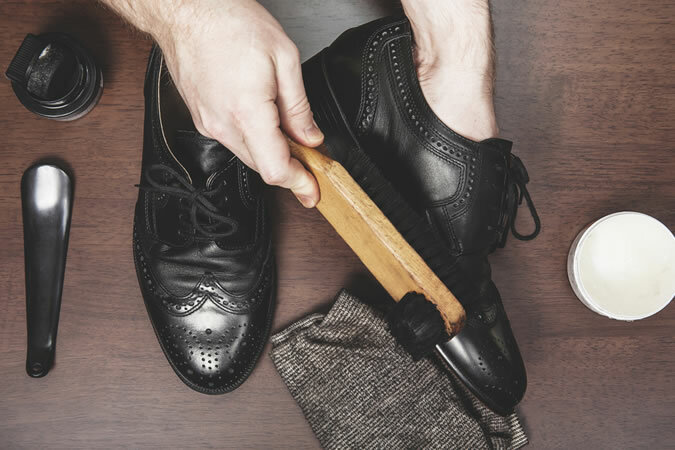 For shoes that are worn several times a week, Glasgow recommends polishing every fortnight. “Remember, you’re not just shining them, but nourishing the leather to keep it supple and prevent cracking,” he reasons.